Some people don’t like March. Me? I really enjoy March. One of my favorite women of spiritual history is Hildegard of Bingen. She wrote about the greening power of life. I think of her in March. What Hildegard’s greening means is the life force within everything that is alive, including us. Greening refers to vigor and vitality and is a gift and energy from our Creator God planted in us, our world, and our universe to savor and cultivate. Greening whispers in March and roars in April – revitalizing, life-empowering, and uplifting. March began for me with a sense of disconnect from God. In silence one morning, I realized how little time I had been spending, just being with God in Centering Prayer. To be honest, laziness and busyness distracted me. I began Lent with returning to God with my practice of 15-20 minutes of contemplative prayer each morning – even on the crazy days. What a blessing! Duh, I could have guessed that. When we come to God, he runs to meet and embrace us as the father in the prodigal son story. I felt welcomed, accepted and loved in his presence. I have mentioned in the past a phone app that guides my quiet time. I love how you can pick a chime, chant, gong, etc. to enter inward and also set any amount of time to be with God. The opening and closing prayers are wonderful too. 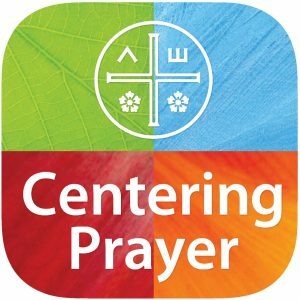 The app is called Centering Prayer and is free. The Gift of Wonder – Creative Practices for Delighting in God. Highly, highly recommend both of them. Sitting on my nightstand is Emily P Freeman’s newest book The Next Right Thing – A simple, Soulful Practice for Making Life Decisions and Cal Newport’s newest release: Digital Minimalism – Choosing a Focused Life in a Noisy World. Voluble – an adjective that has been around since the 16th century but not in my vocabulary. Voluble means a rolling, spinning of words. A ready and continuous flow of words – so the glib, talkative soul next to you on the airplane or a spokesperson passionate for a cause. This introvert looks at this word with caution and anxiety. 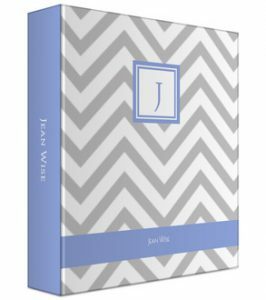 Here is an interesting article how one woman changed her life by writing out affirming sentences in her journal to describe who she was presently, not just wishing or hoping who she might be eventually. I am a planner geek, a calendar-snob – always trying new setups and formats. I think it is my fruitless effort to control life. Anyway, I redesigned my original planner from PurpleTrail to a small three-ringed notebook so I can add and remove pages. I created some new personal pages too. I like this company and how you can vary and design just what you want/need. Planners are a need, right? 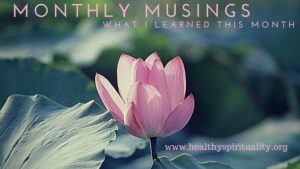 What did you learn in March? Please share – I would love to hear about your journey and all your life lessons. Jean, I had Danny download that app for centering prayer. Lord knows I need it! This has not turned out to be the quiet and restful week I’d anticipated, but I’m leaning (word for the year) into God for strength and guidance. If you don’t mind, would you lift us up in prayer? As soon as I can, I will email you with what is happening here right now. Prayers for God’s guidance and peace are indeed enough for now. i love that app. You are in my prayers for whatever storm you are in! Love your positivity, Jean! You find the good, even in such a month as March, when: 1) many days are blanketed with gray clouds, 2) rain, snow, sleet and slush are much more common than warmth and sunshine, and 3) leafless tree branches still stab at the sky–four months after the last leaves fell to the ground. Thank you for leading the way to gratitude and praise. Every month of the year gives reasons to celebrate! As always, I want to read the books you are reading, Jean. I haven’t read any of the four you mentioned, but would love to read each one! 🙂 Happy April already! I think we both feed each other’s love of books and readings. I love your list too. Thank you Jean for stirring my soul to see “good” in spring and to not focus on LOSS but to appreciate the gains of springtime. I do love spring but even in bad times, we can cling to our Savior and his presence will bring peace. Loss can be an empty, lonely time but also a time of rest and new birth. Oh so much good stuff here, friend! What a cozy spring visit! Thanks Linda. Glad you stopped by!